government by the worst persons; a form of government in which theworst persons are in power. The largest, most powerful, most technological advanced military in the world has a new Commander-in-Chief. This Commander-in-Chief campaigned on a premise of American nationalism, isolationism, and military build up. He has promised to ban immigration of an entire religion while forming a registry of those whom are already citizens. He is a climate-change denier. He is a racist. He is an unabashed misogynist whose advances toward woman may be sexual assault. One would have hoped that Trump would have tempered his controversial ascension by surrounding himself with a less-controversial staff. Instead, his Vice-President is an outspoken critic of LGBT rights. His Chief Strategist is known for promoting white-nationalists views. Trump's pick for Secretary of Treasury made millions by foreclosing on people's homes when the housing market crashed. The election of Donald Trump has sent the rest of the world into a tailspin. His isolationist views, combined with his anti-NATO rhetoric and "bromance" with Vladimir Putin has left American allies worried... For good reason. 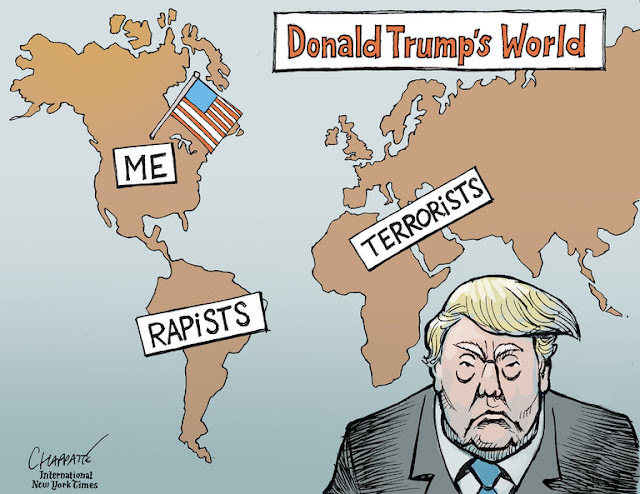 For decades now, the good ol' USA has deemed itself "the protector of the free world". Following World War II, it has been omnipresent around the world, devoted to fight the global spread of Communism. After the end of the Cold War, it continued its presence under the auspices of fighting a War on Terrorism. This meddling has run the gamut from polite political pressure, to rigging foreign elections, to outright military occupation. Of course, this has all been done under the auspices of "securing freedom". America's aggressive foreign policy has allowed other nations to take advantage. Friendly nations in "hot zones" see their own militaries supported by the USA's considerable military might. Friendly nations in the Middle-East and South Pacific regions have come to depend on this. Other friendly nations, like Canada, have taken advantage of America's largesse by cutting military spending. It would seem as if that era is coming to an end. Trump has promised to increase American military strength while simultaneously reducing its footprint around the world. This seemingly contradictory plan would likely leave a huge power vacuum in certain areas while simultaneously encouraging other major military nations to both fill that vacuum and beef up their own forces. One could argue that it is America's prerogative what it does with its military. The problem with this argument is that many of the world's current conflicts have been influenced by, if not directly caused by American intervention. In other words, America made this mess... And may be up to the rest of us to clean it up. 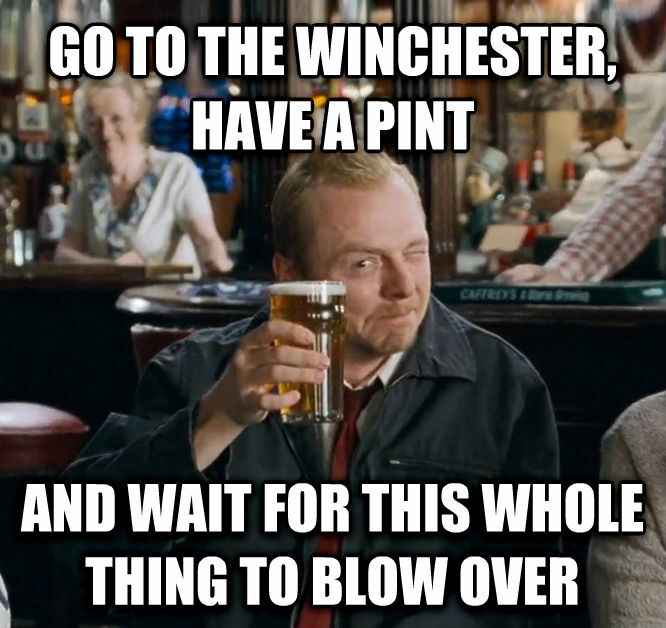 You guys better start getting busy. This new era leaves Canada with no other option. We must pay more attention to our defence. election platforms, one could not imagine these two having much in common. 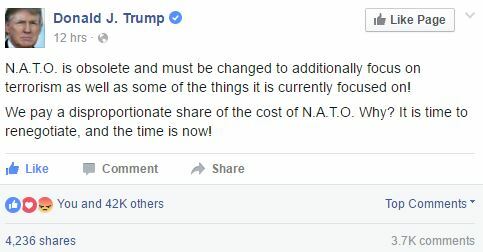 Trump will likely demand that Canada spend more on defence. As a NATO member, Canada is obliged to spend at least 2% of its GDP doing so, but only contribute about half of that. We likely will not have much choice in the matter... Not because Trump says so but to compensate for the USA's decreased presence worldwide could make the world a more dangerous place. 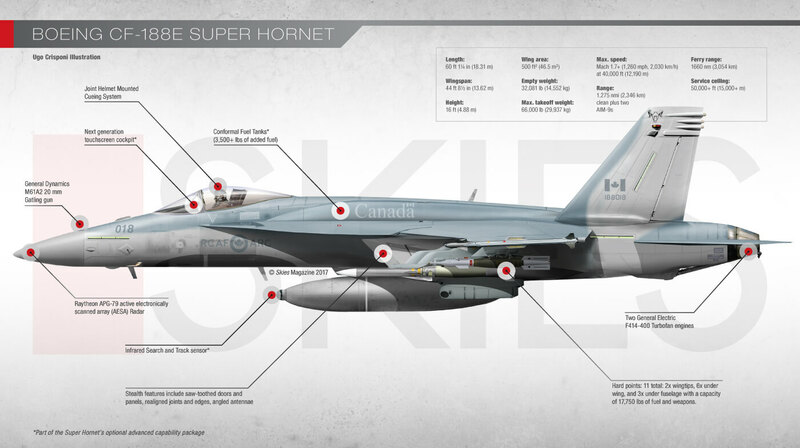 Check out the latest SKIES Magazine for a look at the RCAF Super Hornet! Given the potential quandaries surrounding a Trump presidency, the current Canadian government's plan to acquire 18 "interim" Super Hornets may be surprisingly prescient. The reasoning behind the acquisition was a "capability gab" that many questioned. The truth is a matter of semantics. With its current CF-18 fleet, Canada had no issue fulfilling its NATO and NORAD commitments... Just not simultaneously. The timing behind the decision seem suspiciously in tune with Trump's rise to power. The announcement itself came less than two weeks after the US election. The first declaration of a "capability gap" came within days of Trump's selection as the Republican presidential candidate. While Trump's rise to power is certainly not the sole reason behind the Super Hornet acquisition, it was undoubtedly a part of the discussion behind closed doors. 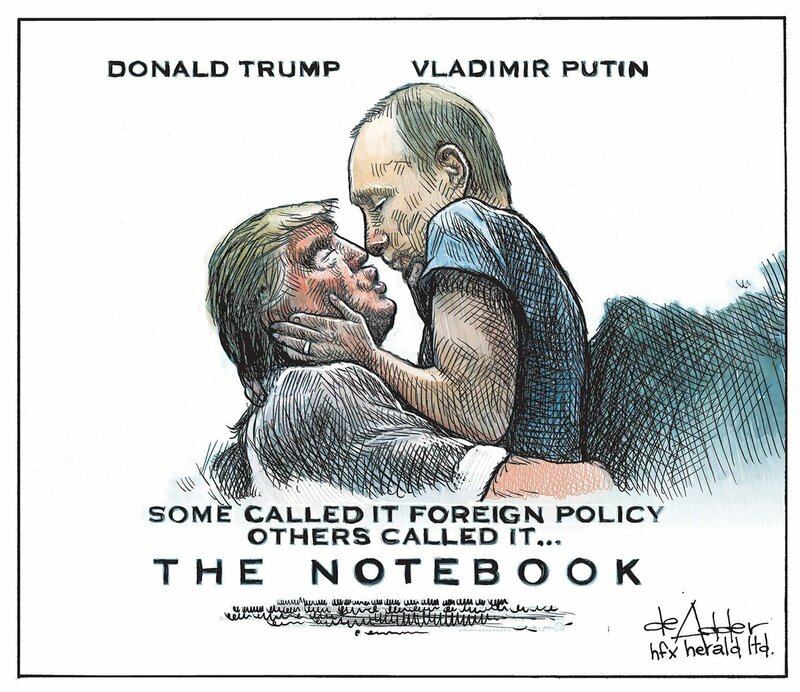 Canada's defence policy is heavily influenced by American defense policy; and Trump symbolizes a monstrous paradigm shift in that department. Do not expect Canada to be the only nation influenced by America's new leadership. Trump's commitment to South Korea is secure for the moment, but the future may prove shaky with The Donald threatening to pull troops out. America's softening towards Iran under Obama will likely be put into full reverse. Plans to move the American embassy in Israel from Tel Aviv to Jerusalem is not exactly going over well with some. Expect this to become the "new normal" for American diplomacy. Some of the rhetoric coming from the White House goes beyond the pale and gets to be damn right scary, subtly threatening adversaries and allies alike. The message is clear: US military support can no longer be taken for granted. Thankfully for Canada, Trump has yet to mention NORAD in his late-night Twitter ramblings. Canadians should not get too complacent however, as it may just be a matter of time. 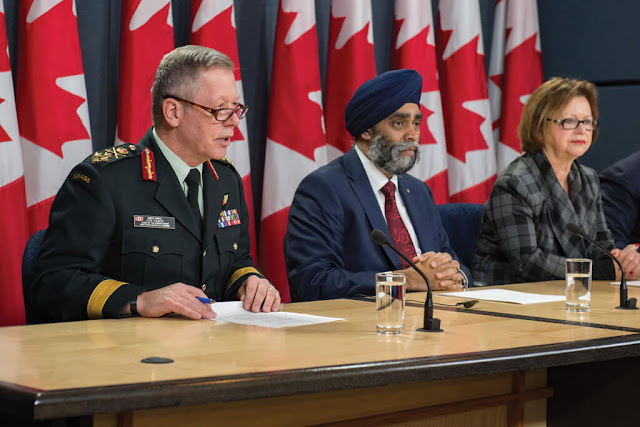 Canada would do well to pursue a more independent defence policy now that its neighbor has gotten much more rowdy and unpredictable. It does not help that Canada's other neighbor is being down-right creepy lately. Given the differences in our two leaderships, expect a widening rift between the US and Canada. Some would blame that rift on our current Liberal government, yet even former Prime Minister Stephen Harper has stated: "The Trump presidency is a major source of global uncertainty," that will reverse seven decades of US foreign policy. 1) Attempt to stay in America's favor. Doing so would require cutting ties to the rest of the world, and imposing similar bans on muslims, etc. This would help keep our relationship with our largest partner healthy. In doing so, however, Canada would be relinquishing our foreign policy and our very sovereignty to the whims of President Donald J. Trump. We would be a medium-sized fish sharing a tank with a great white shark. 2) Relinquish our coveted partnership with the USA and pursue better relations with other nations. Step up our NATO and UN commitments to help fill the gap left by the US. Most importantly, assert our independence to assure the world that Canada is not simply "America Lite". One would hope that Trumps ascension to the presidency is a mere outlier that will be corrected in forthcoming American elections. We cannot afford to make this assumption, however. This could be the hallmark of something far more sinister. For decades, Canada has based its defence strategy on the assumption that the good ol' USA would have our backs. As of January 20th, 2017 that is no longer the case.